A website for Earlsfield residents and visitors. 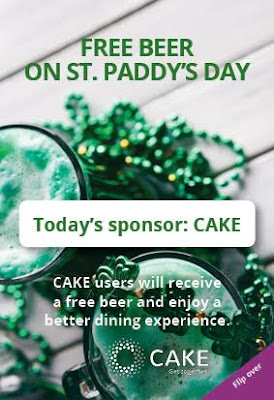 The CAKE app will be sponsoring free beer at Ben’s Canteen for customers to help them get in the boozy green spirit after work. Every customer at the Earlsfield location will receive a free St. Paddy’s beer when they open a CAKE tab at the restaurant 5pm on. 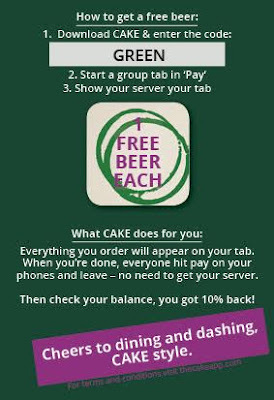 The app will also be sharing a virtual ‘pot of gold’ by giving new CAKE users 10% credit back on their bill (the credit appears as gold coins in the app). When you are ready to go CAKE removes the hassle of tracking down the bill and everyone paying. Using your phone you simply select what you ate, hit pay, and walk out. Then check your balance to see how much credit you’ve earned. To book a table a Ben's Canteen Earlsfield for St. Paddy’s day to secure your free green beer and gold credit, download the app here and book a table via the app. Or you can email in your request to the CAKE team at bookings@thecakeapp.com. Announced on their Instagram account today, it's the final night to get one of Three Six Six Earlsfield's signature cocktails before they leave us for a secret central London location. It's a big loss for the neighbourhood, not just the venue but the energy and enthusiasm that Mick has brought to the Earlsfield community over the years. So cheers, Three Six Six, and all the very best for your next venture. Thank goodness Battersea isn't too far away! Three Six Six Earlsfield is closing down for good tonight! Join us for last drinks at Three Six Six Earlsfield tonight. We've got bitter-sweet news to all of our friends and customers. Today is the last day that Three Six Six Earlsfield will be open after trading for over 11 years. We are relocating to central london (secret location). We want to thank you for all your support during the past 11 years. It was a very tough decision to make. We will miss you and will be forever grateful to all of you! Three Six Six Battersea is and will be open as normal. We want to thank all the lovely Earlsfield's community and amazing people. We will miss you! Please stay tuned for upcoming news and hopefully we'll see you all very soon. Let's party like it's 1999 tonight! Thanks to Amy for the heads up. Join them for a night of live music, canapes, and pink Champagne, 7-11pm on Tuesday 14 February. Free entry, charity auction in support of Fertility Network UK. Come along to the public consultation meeting on Tuesday 14 February 11am to 4pm at Earlsfield Library to talk to representatives from Enable Leisure and Culture and give your view in person, or have your say online here. Looking for a new class for your baby or toddler? Then take a look at Talking Tots… not your average class, Talking Tots provides fun, interactive classes for all babies and toddlers that gently boost early communication and language skills, as well as social confidence. Help give your child a head start and prevent common speech and language problems from arising in the first place. With the number of pre-school children with speech and language problems having increased substantially in the last decade, there is a lot that parents and early years workers can do to help develop children’s communication skills. The good news is that helping to boost your child’s communication and social confidence isn’t rocket science and Talking Tots founders Lisa Houghton and Tracey Park, both experienced paediatric speech and language therapists, advise parents to spend lots more time talking to children, using games, songs and rhymes to help build children’s vocabularies and develop their awareness of words and sounds. These principles are used as the basis for Talking Tots classes which help to develop some of life's most important skills, including concentration and attention, self-esteem and social confidence, pre-literacy skills, communication skills, and sharing and taking turns. The unique Baby Talk programme (for babies aged 4 to 12 months) provides a series of fun, interactive and informative workshops that offer a fantastic opportunity to learn about early child communication skills and what you can do to support this important life skill. Topics covered include an introduction to early communication skills; listening and attention; eye contact; turn taking; copying; and exploring sounds. For toddlers aged 12 months and above, the Sprites and Sprinters classes have lots of fun and action packed structured games, with exciting props, singing and rhymes. 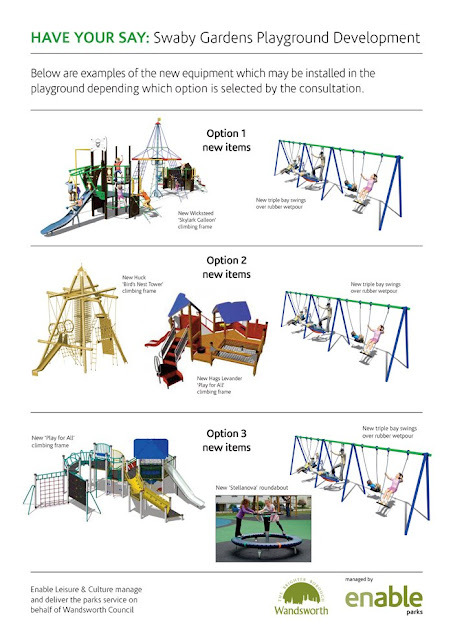 Activities are carefully designed to encourage children’s natural desire to communicate, by building vocabulary and helping them to understand and talk about the world around them. For more information, please visit our website (www.talkingtots.info/swlondon) and our Facebook page (www.facebook.com/talkingtotsswlondon). Email us at swlondon@talkingtots.info to secure your place or for further information. Join the Magdalene Players for their 38th Family Pantomime Cinderella at St Mary Magdalene Hall, Trinity Road, near Wandsworth Common from the 2nd to the 5th of February 2017. This famous rags-to-riches story brought magically to life as Cinderella meets her handsome Prince, but her ugly step sisters want to stop her going to the grand ball! Will her friend Buttons be able to help, and will her Fairy Godmother magic her up a dress and a coach? Will the Prince find the foot that fits the crystal slipper, and will everyone live happily ever after? Get your tickets now for a magical night to remember! Thursday and Friday performances at 7:30pm, Saturday matinee 2pm and Saturday evening 7pm, Sunday Matinee 2pm Tickets: £12 and concessions £10. Thursday all Tickets £10. Group concession available: buy 10 tickets, get 10th free (to take advantage of the group concession please contact the box office directly on the number below; all tickets must be purchased together in one transaction). As you are aware, temperatures have dropped significantly and people are literally freezing on the streets of Paris - this includes women and young children. As French police are regularly demanding these families move on, the need is great for easily transportable items. So, once again we need your help - You can make a difference to someone's life by helping them get through another winter. We have put together an Amazon wishlist of the most needed items. Any contribution you can make is massively appreciated. The wish list will close on Friday 20th evening. 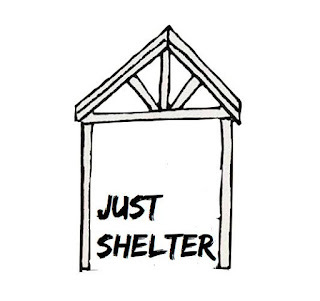 Please follow the link below on Amazon.fr, which will take you straight to our wish list where you can purchase one or more items, which will be delivered straight to the Calais warehouse. From there, these much-needed items will be delivered by volunteers to Paris and Dunkirk. The list may appear in French at first but you can easily translate this into English in your web browser. We have made the decision to use French suppliers so we can get items to the front line quicker and at a lower cost. 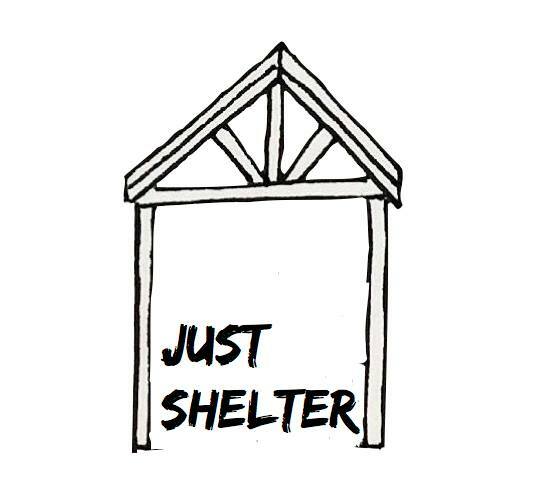 To keep up to date with how the wish list is doing over the week, visit our Just Shelter Facebook page where we will be telling the story. We will also be delivering a van full of sleeping bags collected on our behalf by Wandsworth Welcomes Refugees. We will be visiting the Children's Centre at Dunkirk and will give you some news soon! Transformation in store for Mecca Bingo? Quirky new pub for Earlsfield?